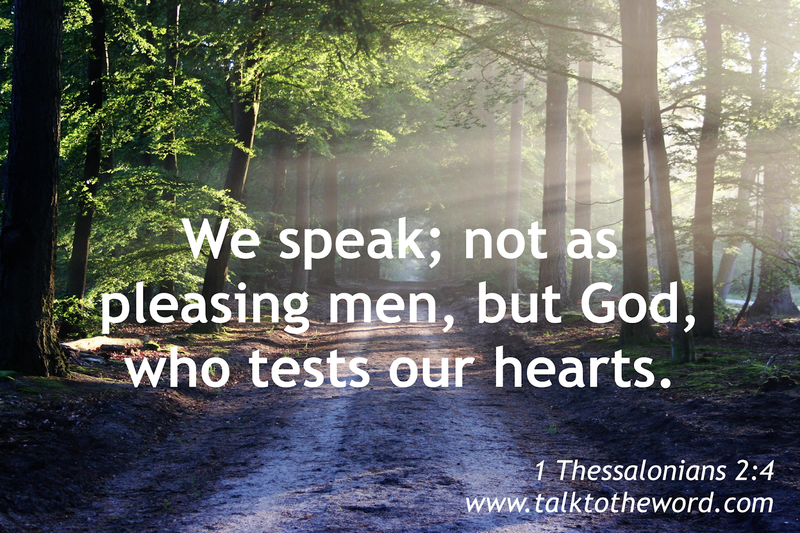 1 Thessalonians 2 [1.] For you yourselves know, brothers, our visit to you wasn’t in vain, but having suffered before and been shamefully treated, as you know, at Philippi, we grew bold in our God to tell you the Good News of God in much conflict. For our exhortation is not of error, nor of uncleanness, nor in deception. But even as we have been approved by God to be entrusted with the Good News, so we speak; not as pleasing men, but God, who tests our hearts. [5.] For neither were we at any time found using words of flattery, as you know, nor a cloak of covetousness (God is witness), nor seeking glory from men (neither from you nor from others), when we might have claimed authority as apostles of Christ. But we were gentle among you, like a nursing mother cherishes her own children.